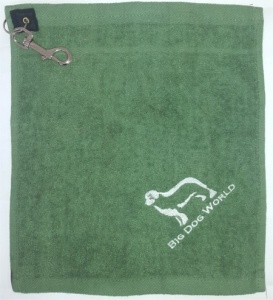 Cotton slobber cloth for big drooling dogs! 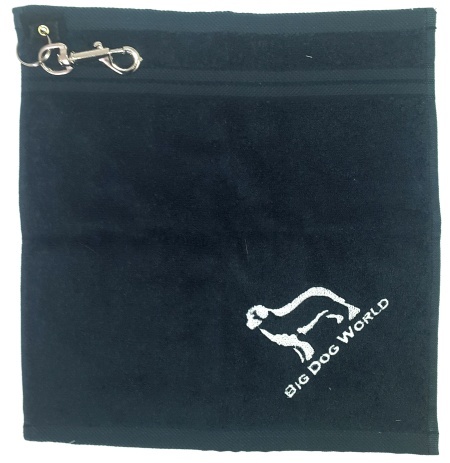 Branded cotton cloth with retractable stainless steel belt clip. Attach the cloth to the clip and always have your cloth handy for those drool moments! 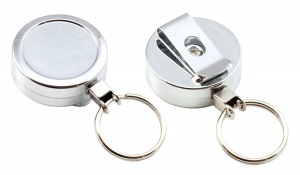 Great for around the show ring or while public indoor spaces like pubs.